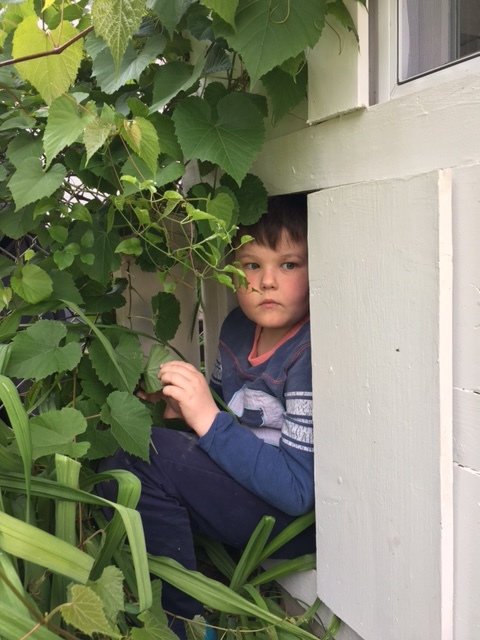 We all loved seeing Janet and Everett’s amazing garden during the Del Ray Urban Farm Tour last weekend, but the plants themselves weren’t the only standout feature. 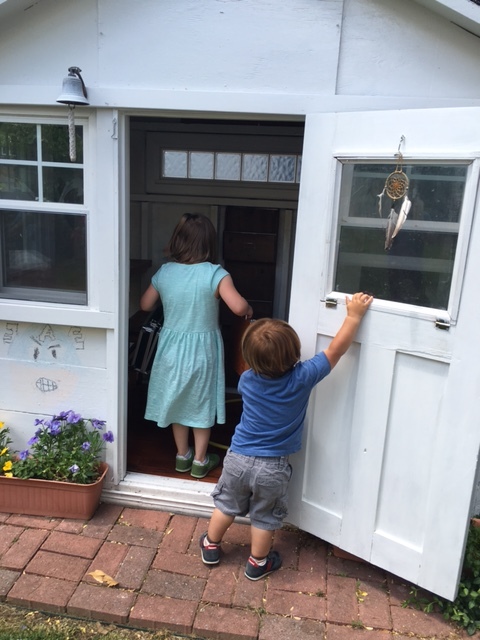 The tiny house in the yard, aka the “she shed,” attracted many a gazing eye. I learned that Janet, her husband Everett, and sister Nancy built the house themselves from the ground up. 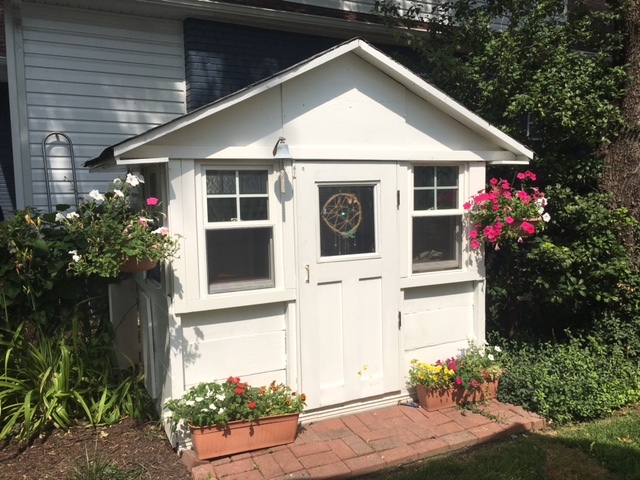 They wanted to build a garden shed on the property so as a test-run of their construction abilities, they decided the build the tiny house. 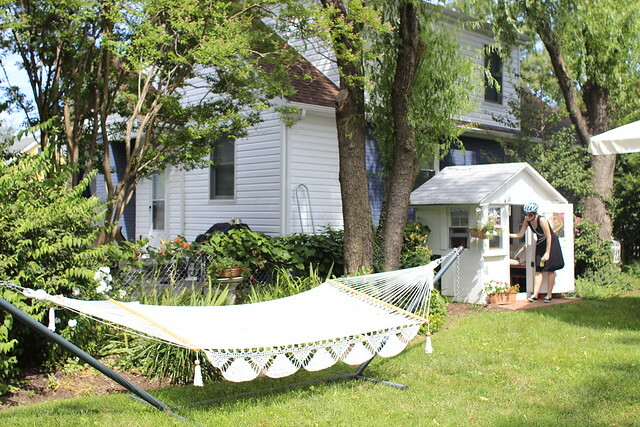 At first the house was used a playhouse for their kids, but now Janet uses it the most as her writing studio. Her kids are still welcome to play in it too. It’s 4′ x 6′ with a height of 6′ at the peak of the roof. Windows: Community Forklift for $25.00 each. They’re samples and don’t actually match, but no matter. Flooring: Habitat for Humanity Restore for about $10. Wood: Salvaged from around the house. Back glass brick window: Freecycle. Desk: A standard corner computer desk from Craigslist. 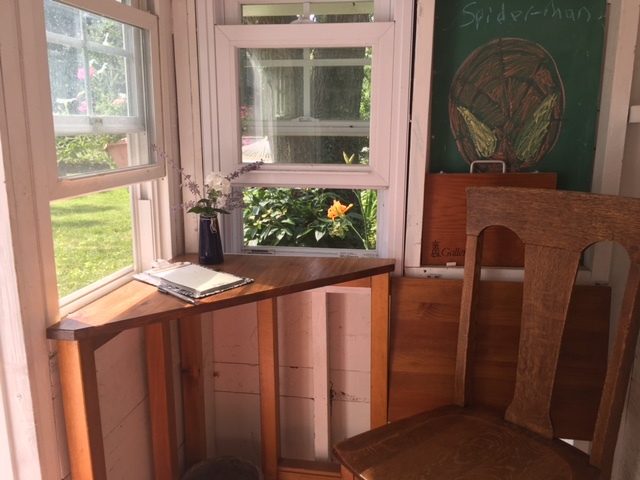 Janet cut the desk down to size and used the remaining components to build a drop-down shelf. 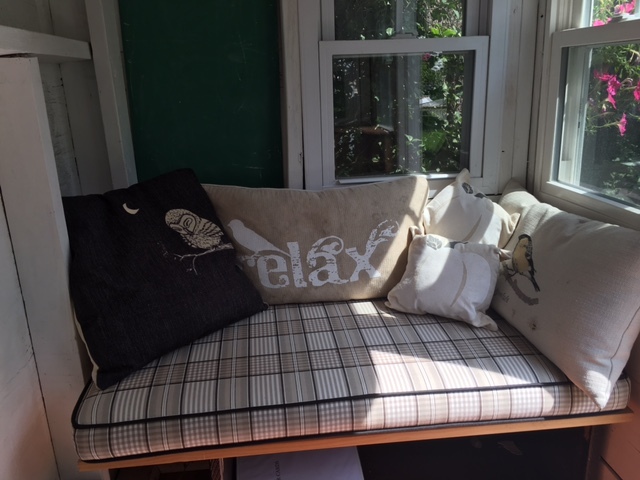 It’s a great spot for having a bit of peace and quiet while keeping a close eye on the kids. Here is her son Alex sitting in the secret door on the side. A nice weekend project at a minimal cost. 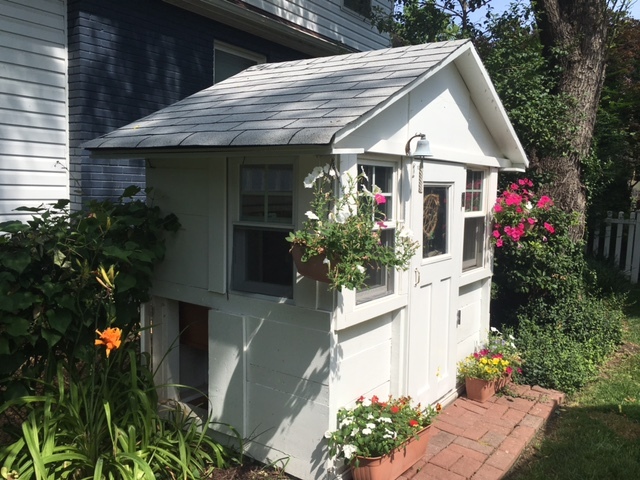 Do you know of any tiny houses in town that you particularly admire? Let us know in the comments.